Welcome to Harry Styles Network, your number one source for Harry Styles. He is an English singer, songwriter, and actor. He rose to stardom as a member of the boy band One Direction. In 2010, Styles auditioned as a solo artist for the British music competition series The X Factor, where he and four other contestants joined to form One Direction. One Direction have since released five albums, performed four worldwide tours, and won several awards. One Direction went on an extended hiatus in January 2016. His first solo single, "Sign of the Times", was released in April 2017, reaching number one in the UK and number four in the US. Styles made his acting debut in Christopher Nolan's war film Dunkirk (2017). Nullam tincidunt est tincidunt lectus viverra placerat. Suspendisse neque lorem, iaculis vitae nulla quis, imperdiet ultrices nibh. Morbi eget egestas felis, ac tempus augue. Integer ut dui eu velit iaculis imperdiet. Donec turpis nibh, sodales non lorem consequat, facilisis aliquet massa. Aliquam eget leo vel velit bibendum mattis a faucibus dui. Donec porttitor massa nec ex eleifend finibus. If you wish to become elites with us, please email us. Please note that we only accept fansites on topic related to Harry/One Direction. 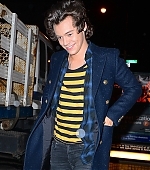 Harry Photo's is the largest gallery online dedicated to images of just Harry Styles. We have thousands of HQ images of Harry for you all to view with more and more images being added daily! HarryStylesFan.Org is in no way affiliated with Harry Styles, One Direction or their management.We are just a fansite ran by fans. If you wish to contact Harry, we can not do that, you will have to contact Harry or One Direction via their management. All content on this site is copyright to the admin unless stated otherwise, so if you wish to use anything on the site then PLEASE provide credit. All images in the gallery have been obtained by staff, unless stated otherwise. Photo copyright belongs to the photographers. 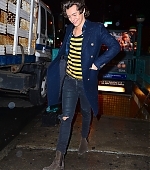 I have added photos of Harry exiting a subway in New York City on 6th December. Check them out below! zayn malik :are you muslem? harry: do you have a girl frined? for all: what is your old ?